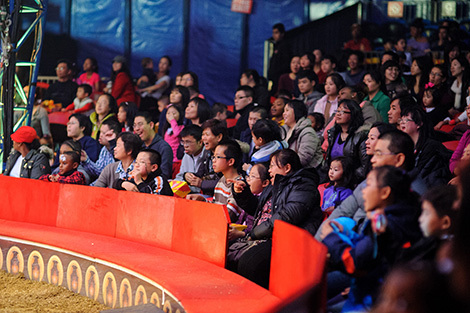 On November 14, 2012, the Ong Family Foundation with the Yu Family Foundation sponsored a night of dizzying delights and jaw-dropping spectacles at the Big Apple Circus for disadvantaged Asian children and youth living in the New York City area — most of whom had never attended a circus or whose families cannot afford to bring them. 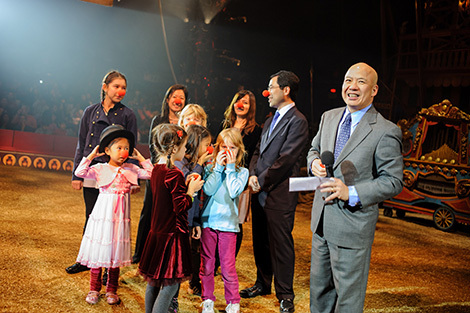 Bringing laughter and fun to over 1,600 immigrant children and lower-income families, Nelson Louis of the Ong Family Foundation, and Raymond Yu of the Yu Family Foundation, welcomed over 1,600 children and families to a fun-filled evening under the big top for the circus’ “Legendarium, a journey into circus past” production. 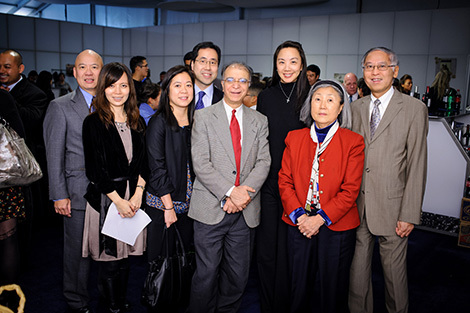 Co-hosts, the Asian American Federation and the Coalition for Asian American Children and Families (CACF) were happy to help support this community event. 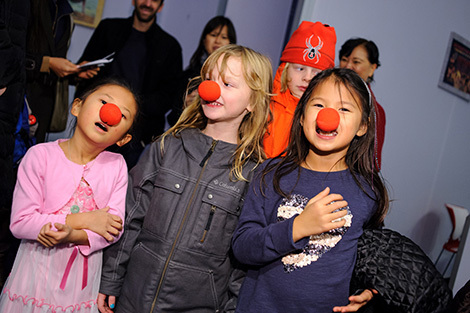 Tickets were distributed to local Asian nonprofit clientele including: APEX for Youth, Asian Americans for Equality, Central Queens Academy, Chinatown Manpower Project,Chinatown YMCA, Chinese-American Planning Council, General Human Services Organization, Hamilton-Madison House, Korean American Family Service Center, New York Asian Women’s Center, South Asian Youth Action, and The Transfiguration School’s Kindergarten class.